American spa manufacturers, like MAAX spas, focus on creating a deeply relaxing, soothing experience. The intelligent use of new digital technologies have turned MAAX spas into both easy to use as well as easy to maintain wellness centres for the whole family. From its Arizona headquarters, MAAX supplies the world with the best in technology, hydrotherapy and design, adding a new chapter to a tradition that started with the invention of the spa in the USA in 1948. From its conception, American spa manufacturers focused on creating a deeply relaxing, soothing experience. Maax Spas has evolved to provide a range of patented systems that guarantee extremely economic operation and long-lasting pleasure. 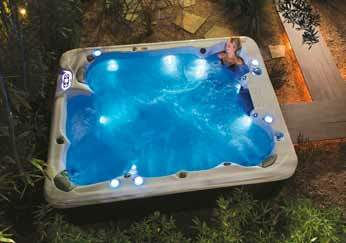 Manufacturing spas that combine the best materials and components with ergonomic design, MAAX Spas has been at the vanguard of spa development. Becoming part of the MAAX spas winning team is just a phone call away.